Sunny days are on the way (can they hurry up already?!) and we've got you covered! 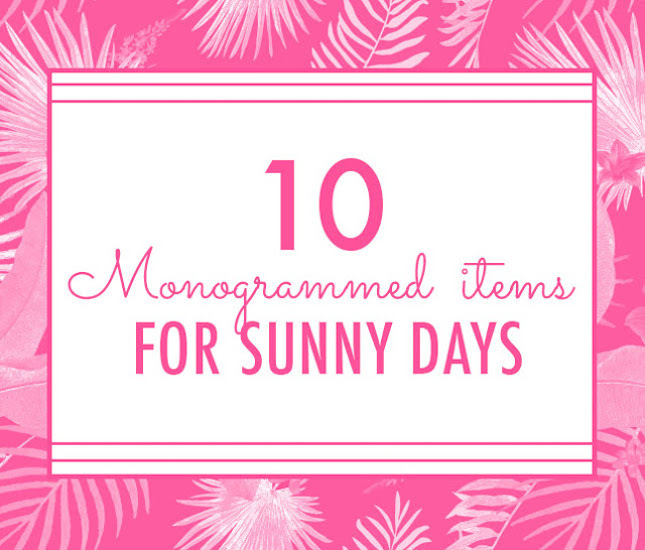 Check out these monogrammed clothes, accessories, and beach essentials below - must-haves for warmer days ahead! 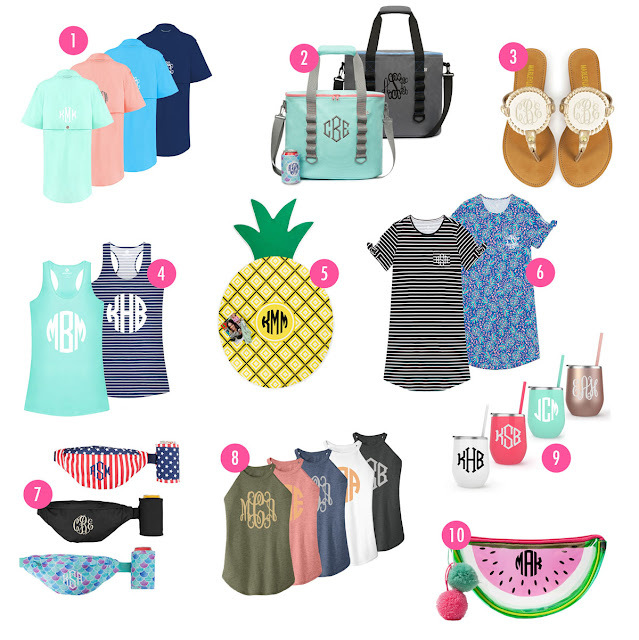 These best sellers will definitely be your favorites this summer! Wear these as a casual top or as a bathing suit coverup - either way, it's the perfect personalized touch for any lake or beach day! This NEW arrival is a must-have for the beach! Perfect for keeping your drinks icy cold in the hot summer sun, these coolers are stylish, convenient, and functional! No summer outfit is complete without these ADORABLE embroidered sandals! Each pair comes with an interchangeable and reversible disc - is it a pineapple or an anchor day? You choose! Say hello to your new summer go-to! These tank tops are super lightweight with an oversized fit. Just pair with a pair of shorts and beach bag and you're ready for summer vacation! This beach towel just screams summer! This bright and fun towel is the perfect way to celebrate sunny days at the beach, lake, or pool! This dress is SO flattering! Available in a pretty pineapple or stripe print, this dress features adorable bows on each sleeve, super soft material, and a MONOGRAMMED pocket! Fanny packs have officially made a comeback! Keep up with all of your necessary items as you stroll along the beach this summer with these fanny packs - with 4 pattern options! These tanks are the perfect mix of softness and attitude! Available in 5 fun colors, you'll be able to pick one that best represents your personality! Beach days will not be complete without these personalized wine tumblers! They also make the perfect gift for your besties - available in 4 colors! This pouch is so sweet! Perfect for carrying all your make-up essentials or phone, this pouch is 100% made for summer. Which of these summer picks do you need?! Comment below!